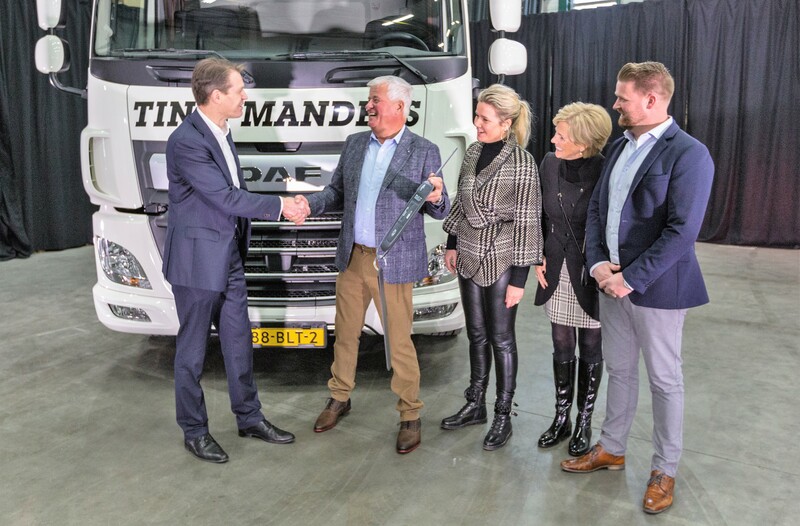 DAF CF Electric for Tinie Manders Transport - DAF Trucks N.V.
Jos Habets, Director Operations and member of the Board of Management at DAF Trucks, handed over the key of the CF Electric to the management team of Manders Transport. The 83-year-old family business, based in the Brabant region of the Netherlands, is currently under the leadership of the 3rd generation. The truck joins the company's 50 tractors large fleet. Willem van der Leegte, President and CEO of VDL Groep, had the following to add: "Tinie Manders, DAF Trucks and VDL all boast a strong foundation, a thorough approach and top-quality innovation. 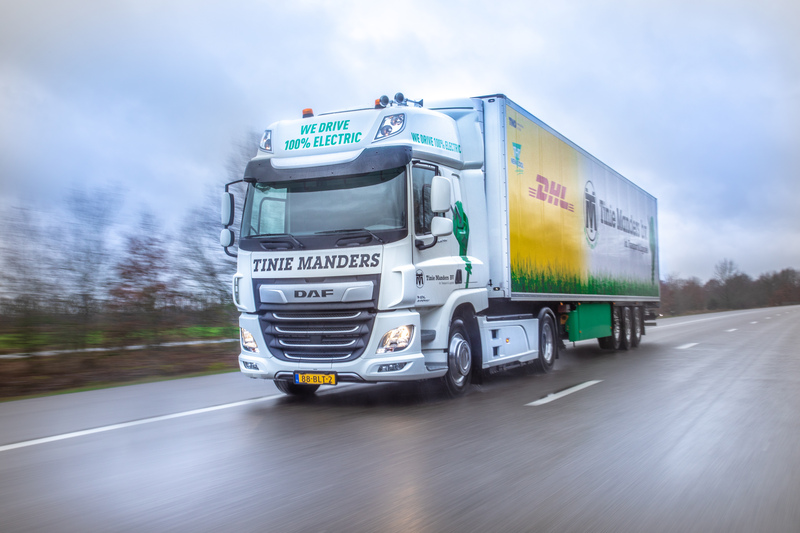 It is truly wonderful to see three companies from the Brabant region come together in this way to test the DAF CF Electric featuring VDL E-Power in practice. Tinie Manders had the confidence to stick its neck out, getting in contact straight away to express interest in participating in the testing phase for this development project. As a result, the family business has played an important role in the creation of this innovative vehicle, which offers the world progress in terms of achieving sustainability in goods transport."